Our fully equipped studio is located in the heart of Greektown, a vibrant community minutes from downtown Toronto. Established in 2001 we are leaders in therapeutic and post-rehabilitative work and also offer exceptional fitness training. Email us to book a private introductory session. The easiest way to start is to come in for a private intro session. You will get a sense of the studio, equipment, and our approach and we can discuss your goals and options to get you there. Submit our form and we'll contact you. Register here for one of our introductory group series. These series begin every 6 weeks. Highly economical, they combine 1 private session and 5 group classes. Lots of experience on Mat & Reformer? Contact us to go directly to a group class. We are a studio that specializes in private sessions. That means that our teachers have extensive training in Pilates, therapeutic Pilates, and specialized related training. 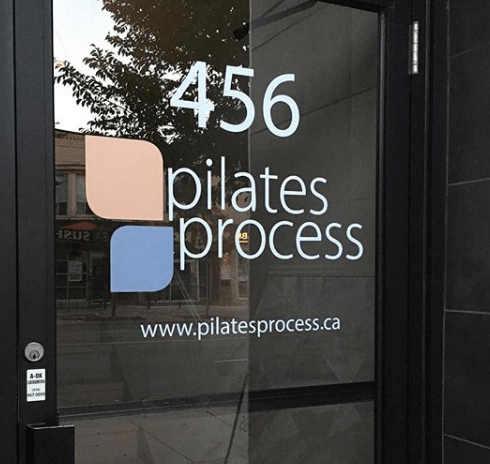 If you are looking to truly address back pain, alter shoulder mechanics or retrain posture, private sessions are ideal. We can target a specific approach to you. Although our group classes are very small, nothing is as specific as working in private sessions and most of our clientele do private sessions long term. Fast track to group sessions. Your goal is to get to group classes asap? Let your teacher know this and we will gear your private sessions to the info you need to know to join group classes. If the intro group series isn't an option for you, we can usually get you ready for groups in 3 - 5 private sessions. For the best of both worlds combine a mix of a private session and group classes. This gives you the personal corrections and focus that you can use to get more out of the group sessions. Once you feel proficient and know your way around a reformer, try our open group classes where you do your own preset workout. This is highly economical and allows you to up your Pilates classes for minimal cost. We are happy to advise. Once you fall in love with Pilates, we can help set a schedule that works for you! Join our Community, signup for a Free 15 Minute Consultation!